When picturing a hospital room, what may come to mind is a messy web of wires, monitors and cables snaking from the patient to various machines. Accurately monitoring a patient’s vitals is essential but can be made difficult as patients adjust positions and wires become tangled. The situation becomes increasingly important and messy for pregnant women, as two patients are being monitored: the mother and baby. Labor and delivery nurse Kaylan McVey spends a lot of her time helping her patients get comfortable, often re-adjusting belts and cables following even slight movements to ensure they don’t lose connectivity. Kaylan was recently introduced to a new, wireless monitor that completely changed the experience for her – an expecting mom at the time – and her patients. “As soon as I saw it, I knew we had to have it,” she says. 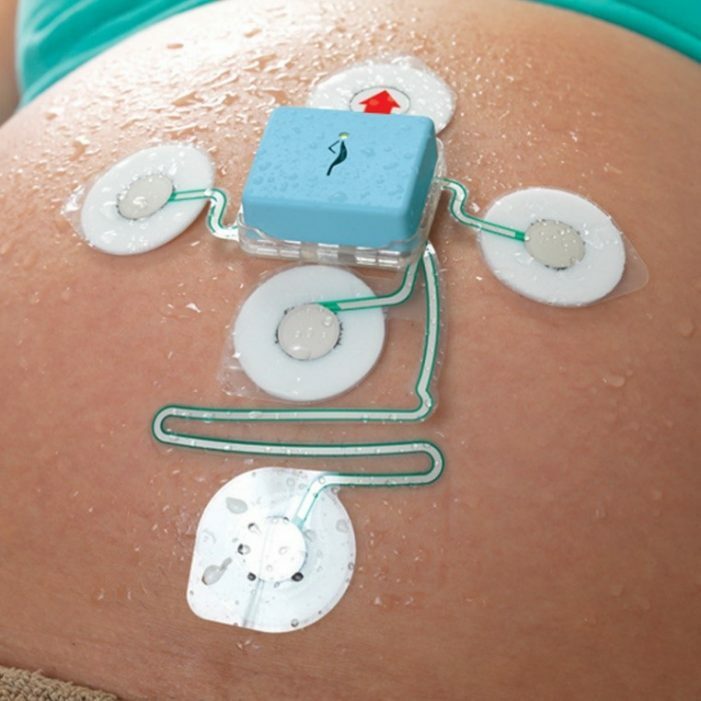 The monitor, called the Novii from GE Healthcare, is a small and reliable fetal heart rate monitor that does not require belts or cables. It allows patients to move more freely without being constrained to a specific area, which can help decrease the length of labor. Patients can even bathe or use a birthing ball – all while being closely monitored with a high level of accuracy. Last year, Kaylan got to try it out for herself when she delivered her first child. 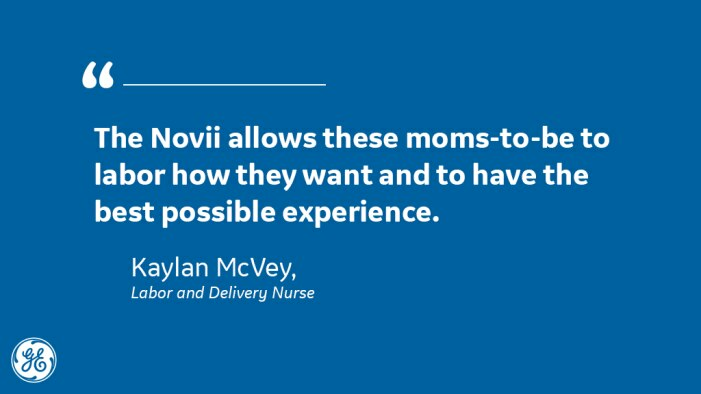 “No one really looks forward to the laboring aspect of delivery, but I was so excited because I knew it meant I could use the Novii,” Kaylan recalls. 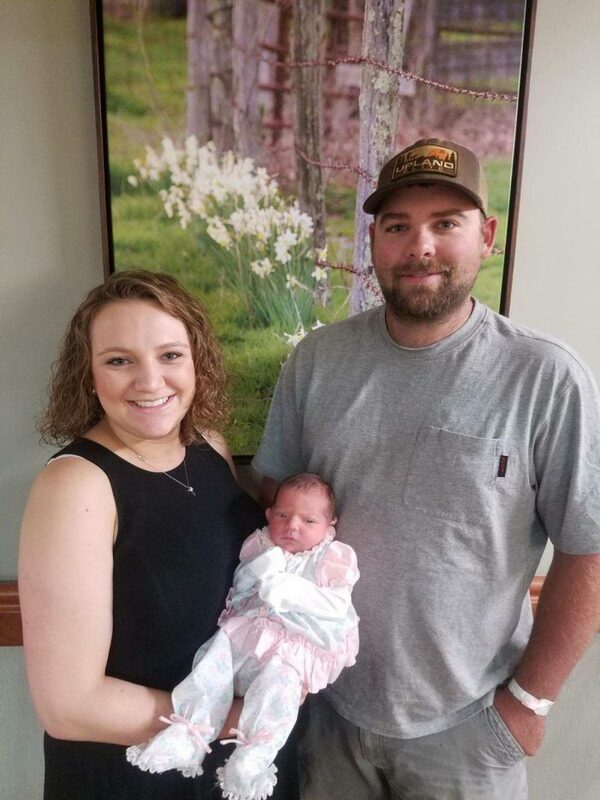 Two weeks before her due date, Kaylan went into labor, and she and her husband rushed to Watauga Medical Center in Boone, North Carolina where she is a nurse. She immediately asked for the Novii, and even put it on herself. For the next 36 hours, the monitor would accurately track the baby and Kaylan’s heart rate, as well as her uterine activity. Kaylan notes the monitor was particularly beneficial during the epidural, as the anesthesiologist did not have to worry about moving any bands or belts. Today, Kaylan’s daughter is a happy and healthy 11-month-old. Kaylan continues to use the Novii on her patients and shares her positive experience with them.